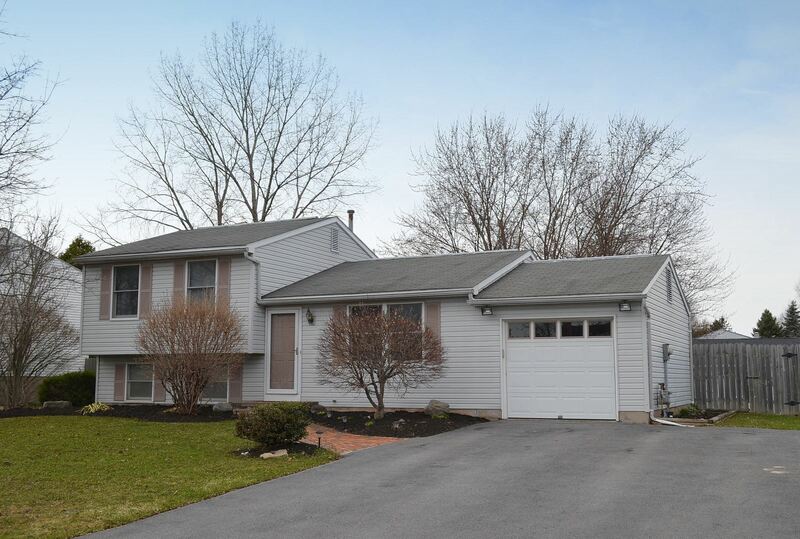 Cherry Heights Neighborhood | Clay NY Home | 3 Bedroom Split Level - http://www.CNYAgent.com - Contact Bob McTague at 315-882-6610 – 8020 Bamm Hollow Road. Clay, NY Neighborhood -. This well maintained 3 bedroom, 2 full bath, 4 level split is located in the popular " Cherry Heights" neighborhood, which is close to shopping, parks, Cicero-North Syracuse schools, and major highways. Main Living Area Features - The main level features an updated kitchen, a dining area, and a large living room. Second Level Features - The second level offers a full bath and 3 good sized bedrooms. Lower Level Features - The lower level provides a spacious family room with a bar and full bath. Basement Features - There is also an unfinished basement for additional living space or storage. Exterior - The exterior offers an oversized driveway, 1 car garage, and a full fenced large yard. 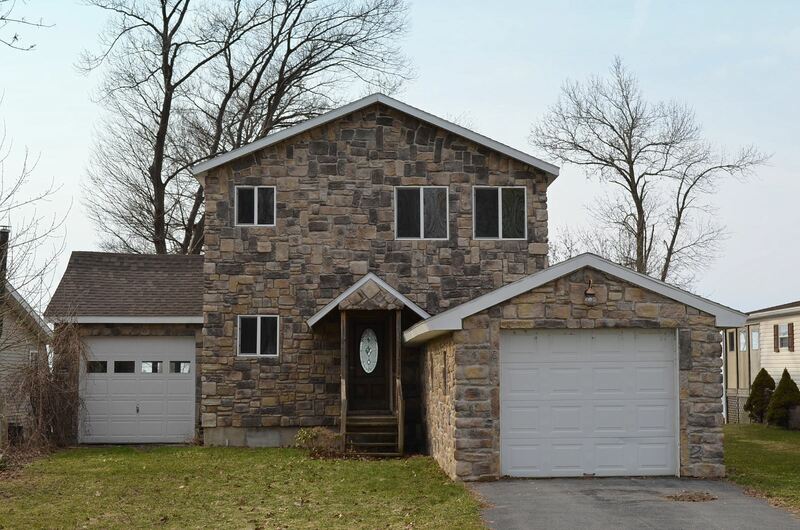 Clay NY Home | Cherry Heights Neighborhood | 3 Bedroom Split Level - http://www.CNYAgent.com - Contact Bob McTague at 315-882-6610 – 8020 Bamm Hollow Road. Year Round Lake Home | Oneida Lake NY | 50' of Waterfront - http://www.CNYAgent.com - Contact Bob McTague at 315-882-6610 – 1307 Black Point Road. Canastota, NY Neighborhood -. This year round Oneida Lake property located in Canastota, features 50' of prime waterfront and is centrally located to Chittenango schools, parks, and major highways. First Floor Features - The first floor features an inviting and open floor plan with a beautiful eat-in gourmet kitchen with granite counters, custom cabinetry, and stainless steel appliances. Tile floors fill the first floor living space. Relax in the large living area which offers a fireplace and panoramic views of the Lake and beautiful sunsets. The first floor also provides a bedroom or office, and a full bath. Second Floor Features – The second level features a massive master bedroom with hardwoods, a fireplace, and magnificent water views. There is also a luxurious master bath with a Jacuzzi style tub which is open to the bedroom providing total relaxation and spa like accommodations. The current owners love to watch the fireworks from their master bedroom during the 4th of July. There are 2 other good sized bedrooms with hardwood floors, and another full bath. Exterior - The exterior features a 4 car detached garage and another 2 car attached garage for your boat, ATVs, and jet skis. This lake home comes with a full basement for additional storage. Updates - This one of a kind home was totally rebuilt in 2004 from the ground up. Too many benefits to list. Oneida Lake NY | Year Round Lake Home | 50' of Waterfront - http://www.CNYAgent.com - Contact Bob McTague at 315-882-6610 – 1307 Black Point Road. North Syracuse Schools | Clay NY Homes | 10 Acres with Horse Barn - http://www.CNYAgent.com - Contact Mark Ceretto at 315-420-0634 – 8380 Caughdenoy Road. Clay, NY Neighborhood -. 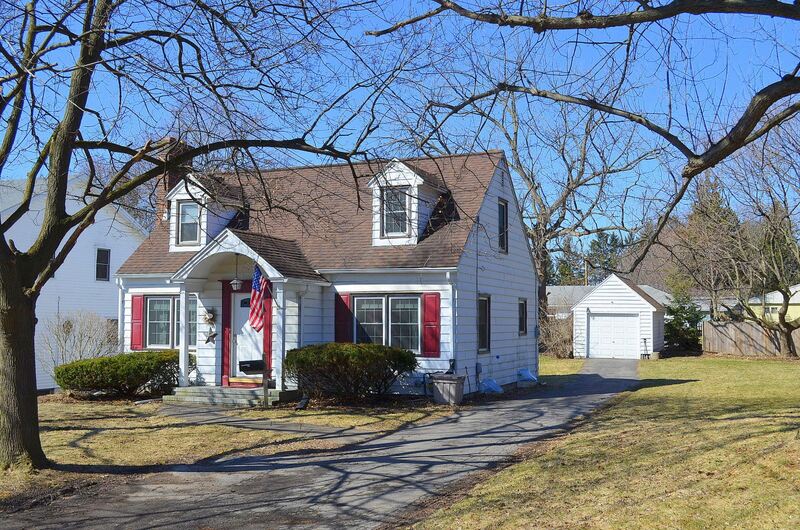 This beautiful Colonial with 9 acres of land, offers country living, yet centrally located to schools, parks, Oneida Lake, shopping, and major highways. First Floor Features – The main living area features hardwood floors, a gas fireplace, a dining room, a spacious kitchen, 3 bedrooms, and an updated bath. Second Floor Features – Gather in the large eat-in kitchen with updated cabinetry, counters, backsplash, and appliances. There is a family room with a gas stove off the kitchen that provides access to the backyard and patio. Entertain in the spacious formal dining room and living room that offer hardwoods. There is also a half bath on the first floor with new tile. Exterior - The exterior offers a 2 car garage with new metal exterior doors, a patio, and a barn with 3 stalls for horses which is fully equipped with water and electricity and new barn doors. Updates - The major updates are a new roof, windows, gutters, entry power line, siding, garage doors, and cascading steps. 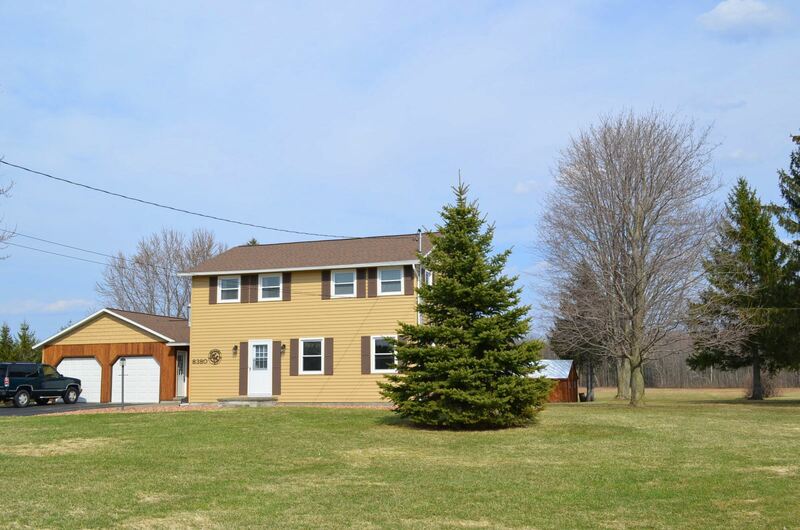 Clay NY Homes | 10 Acres with Horse Barn | North Syracuse Schools - http://www.CNYAgent.com - Contact Mark Ceretto at 315-420-0634 – 8380 Caughdenoy Road. Genesee Hills Neighborhood | Dewitt NY Real Estate | Dewitt 3 Bedroom - Contact Bob McTague at 315-882-6610 – 137 Hathaway Road. Dewitt, NY Neighborhood -. This beautiful 3 bedroom Cape Cod is located in the desirable "Genesee Hills" neighborhood which is close to Jamesville-Dewitt schools, parks, shopping, and major highways. First Floor Features – Gather in the large formal living room featuring hardwood floors and a wood burning fireplace. Entertain in the formal dining room just off the kitchen. Enjoy the updated kitchen that offers new cabinetry, counters, flooring and electrical. Relax in the 1st floor bedroom which provides a slider to the backyard. There is also a convenient full bath located on the first floor. Second Floor Features - The second floor provides an updated full bath with a new vanity, flooring, toilet and fixtures. There are also 2 good sized bedrooms with hardwoods on the second floor. Exterior – The exterior offers a large yard, and a 1 car detached garage, all situated on a double lot offering plenty of privacy. Updates - Some of the other major improvements are newer windows and new water service. Dewitt NY Real Estate, Genesee Hills Neighborhood, Dewitt 3 Bedroom - Contact Bob McTague at 315-882-6610 – 137 Hathaway Road. Inverness Gardens | Liverpool NY Real Estate | Parade of Homes Model - Contact John Valenti at 315-415-7810 - 4972 Astilbe Path. Liverpool, NY Neighborhood - Move right into this beautiful award winning "Parade of Homes" showcase model home for 2011. First Floor Features - The first floor features a gourmet kitchen with granite counters, custom cabinetry, coffered ceilings. The dining area is filled with custom appointments throughout. The 2 story family room offers a gas fireplace and a grand staircase. There is also a first floor bedroom and bath and a half bath. Second Floor Features - The second floor provides 3 bedrooms and another full bath. Basement - The finished basement offers a custom bar, office, half bath, and a great room. Exterior – The exterior offers a 2 car garage, a deck and patio and a partially fenced back yard. Upgrades - Too many upgrades to list. Liverpool NY Real Estate, Inverness Gardens, Parade of Homes Model - Contact John Valenti at 315-415-7810 - 4972 Astilbe Path.